Provide comfort for the family of Frank Figured with a meaningful gesture of sympathy. Frank J. Figured Sr., 61, died Monday morning at the Lehigh Pocono Hospital in Stroudsburg. His wife of 20 years is Marilyn Johnson Figured. Born in Scranton on October 15, 1957 to Shirley Capwell Figured and Jack Figured Sr. He was of the Catholic faith. He graduated from West Scranton High School in 1975. He proudly served in the United States Air Force and was employed by Local #524 Plumbers & Pipefitters. Also surviving are his children Shannon Hannon, Scranton, and Frank Figured Jr, Dunmore; stepson Dylan Schroder, East Stroudsburg; grandchildren Matti Bitsko, Thomas J. Hannon, Mercedes Hannon, and Ethan Figured. He is also survived by brothers Jack Figured Jr., and Daniel J. Figured, Olyphant, and his fiancée Christine Olenick, Peckville; sister-in-law Jenny Belcher and husband Norman, Mountain Home; sister-in-law Sandy Johnson, New York, NY; brother-in-law Paul Johnson, Stroudsburg. He was preceded in death by sister-in-law Kathy Mary Figured. A blessing service will be held Monday at 7 pm in the Miller Bean Funeral Home Inc., 436 Cedar Ave. Scranton. Friends and family may pay their respects Monday from 5 pm until service time. Interment in Cathedral Cemetery will be private at the convenience of the family. To send flowers in memory of Frank J. Figured Sr., please visit our Heartfelt Sympathies Store. Love, Tom, Deb, Evan and Kaitlyn Langan sent flowers to the family of Frank J. 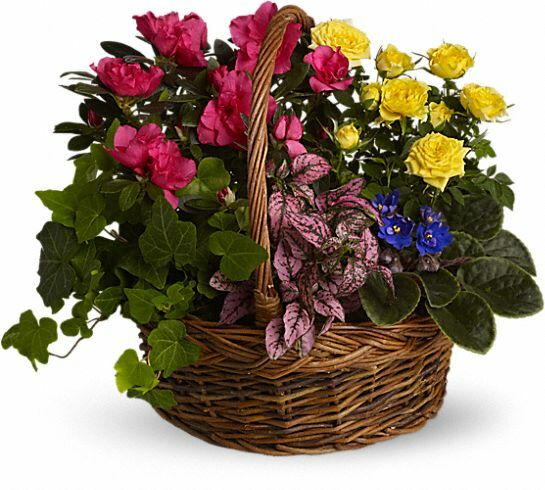 Figured Sr..
Love, Tom, Deb, Evan and Kaitlyn Langan purchased the Blooming Garden Basket for the family of Frank Figured. Shanny's dad... I do have quite a few hilarious memories, and it's a lovely thought to leave them here for future generations... But I think inside jokes are the best. Thanks for the laughs, your smile will be missed! Rest in peace.